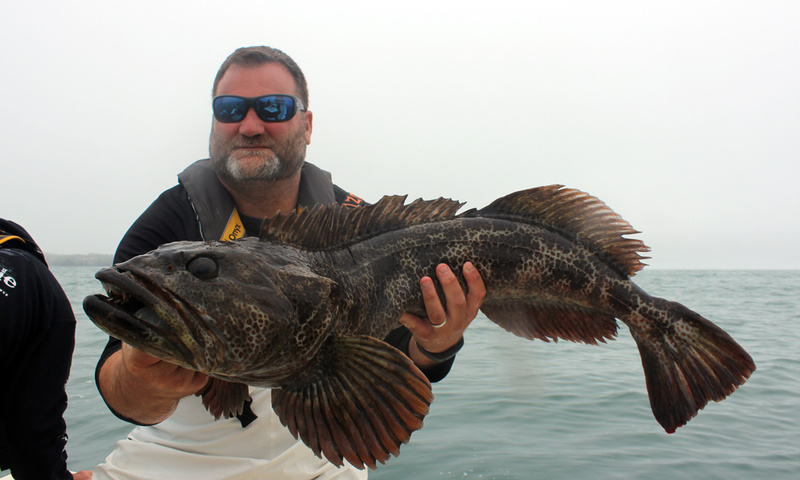 Lingcod draw a huge hoard of fishermen to the Pacific Coast. The Lingcod is a bottom fish that offers a great fishing experience and its fillets are so tasty I can’t even type without drooling all over my keyboard! Yum! They are a fierce predator. They are the prize-fighter in the world of the cold water reef and are at the top of the pecking order. 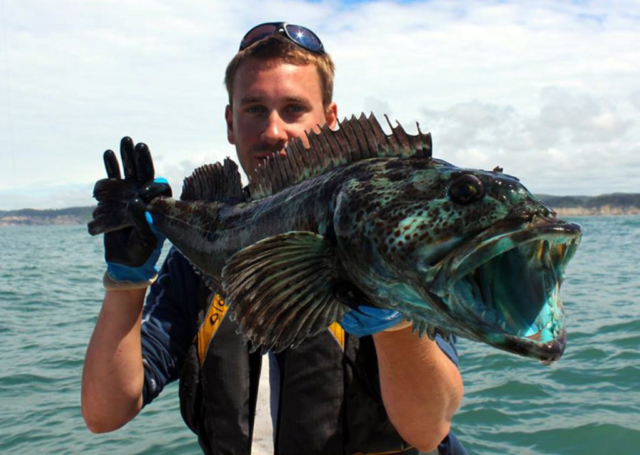 These fish have caught the attention of many saltwater fishermen, and I also feel the thrill of going after these large and aggressive fish. 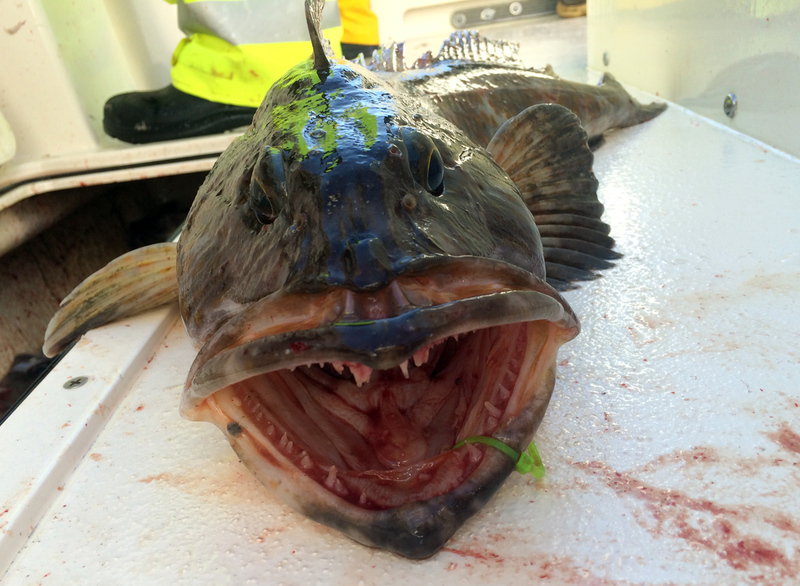 Big Mouthed, Grumpy and Hungry! Their disproportionately large bucket-like mouth is ringed with razor sharp teeth. They will feed on anything and everything that swims or crawls in their domain. They feed on Sand Dabs, Anchovies, Herring, Crab, Shrimp, Squid, Greenling, Candlefish, Snails and anything else you can name that lives nearby. And larger Lingcod will take on meals larger than themselves! 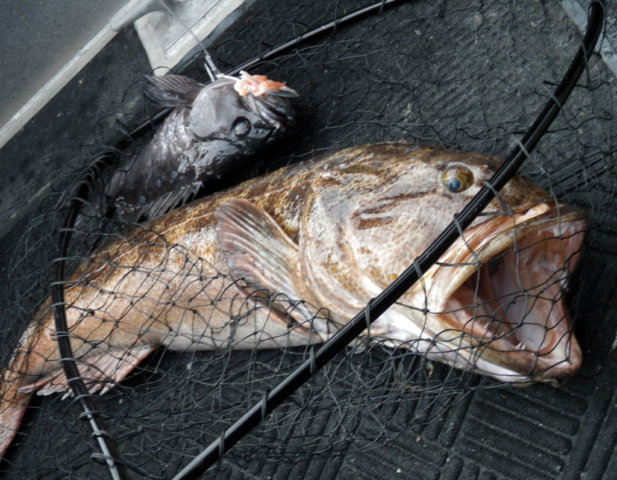 Once I found three Salmon each between 5 pounds and 8 pounds in the belly of a Lingcod we kept. 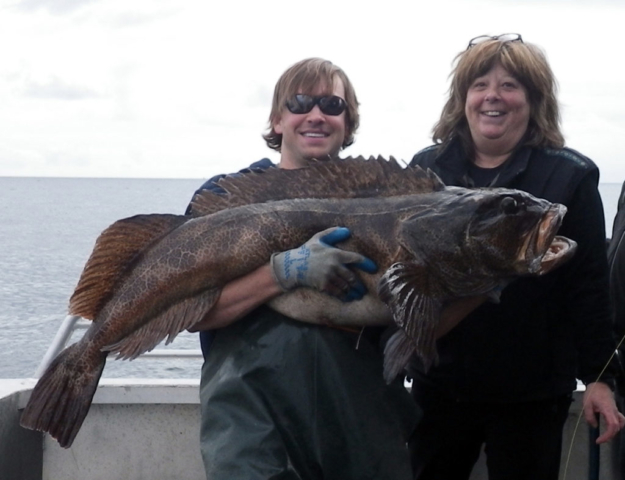 These fish can grow to impressive sizes; my personal best being a giant weighing in at 62 pounds. They will concentrate around reefs, rock piles, pinnacles and other hard surfaces, but they are not a social creature. They are mean and aggressive and brave, and won’t hesitate to try and bite off a chunk from a fish as big or bigger than itself. Any area under 600′ where the bottom structure is hard and rocky will be a great place to fish for Lingcod. 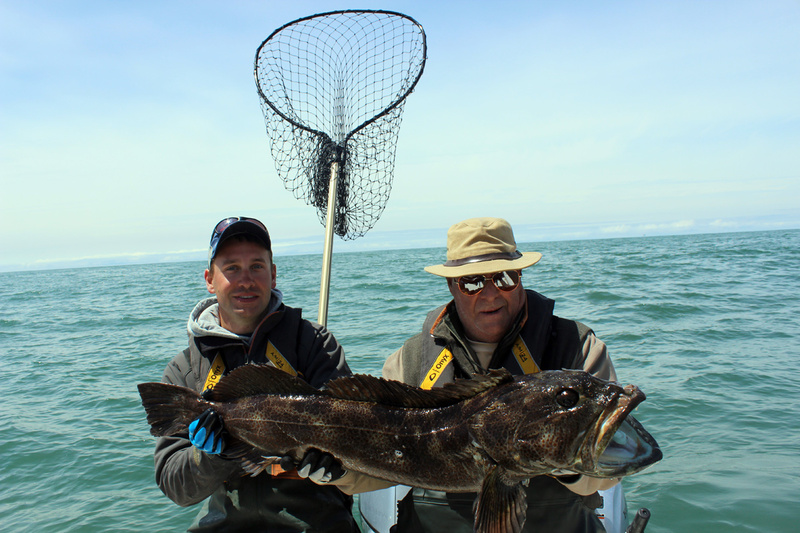 Lingcod fishing tends to be a spring and summer pastime. 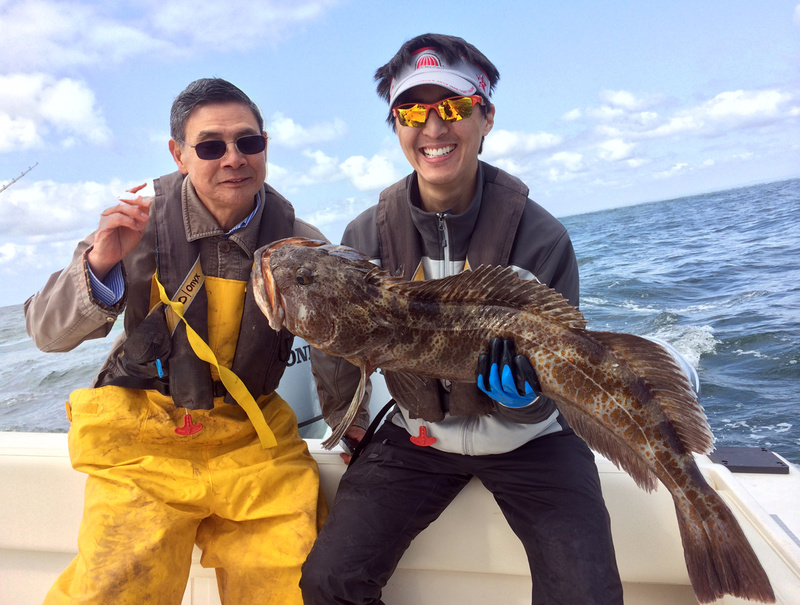 The North Pacific Ocean calms down and becomes safer for small boats, plus the warmer weather of spring coaxes us back onto the water. 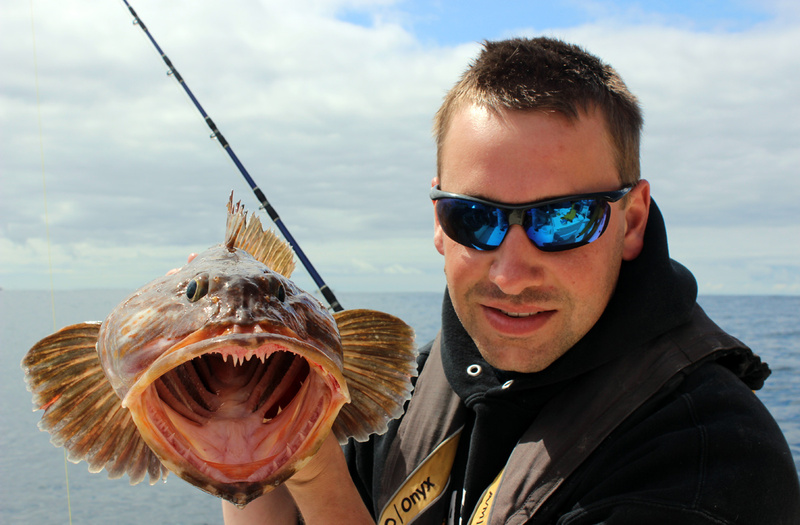 Each marine area has a certain fishing season, daily limits, maybe even size restrictions or depth restrictions. 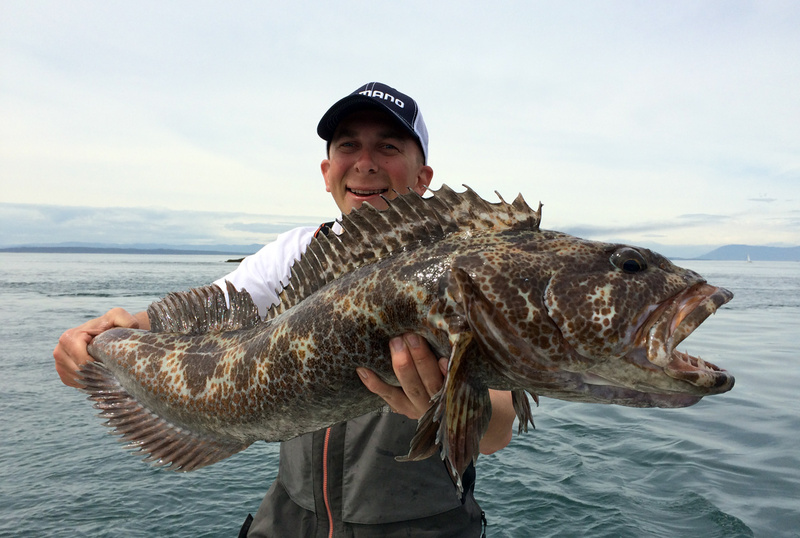 In Puget Sound, Lingcod are so popular that we are limited to a 45 day season (as of this writing). 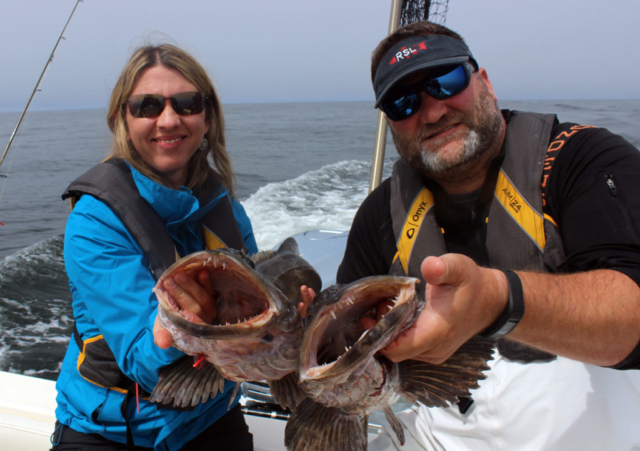 Aside from around the biggest West Coast cities, most fishing isn’t done in a crowd and the opportunity to head out into the remote waters of the Pacific Coast offer a respite from our hectic day-to-day lives. 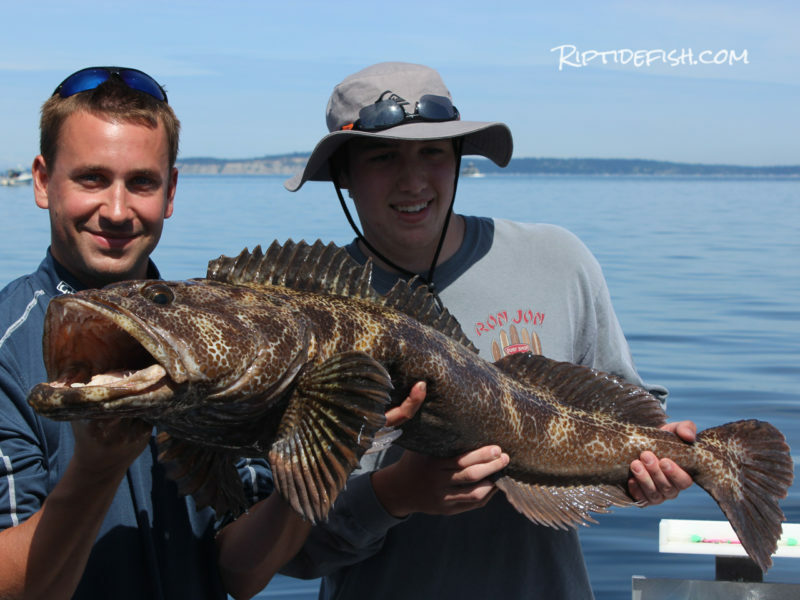 Lingcod are pretty easy to catch once you find them, so that is the first step. 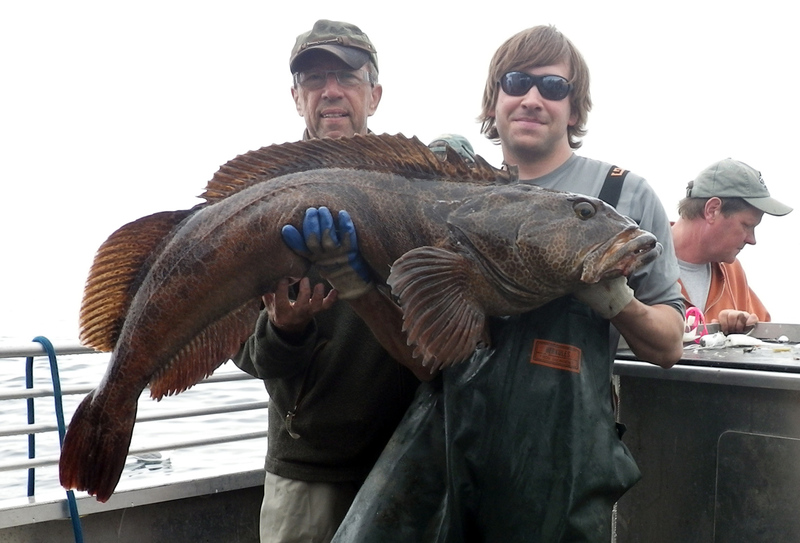 For most of my life I have been shore bound, and have caught Lingcod off jetties and beaches in Washington and Oregon. Lots of people all up and down the coast catch Lingcod from shore and piers. A boat definitely gives you an advantage though. 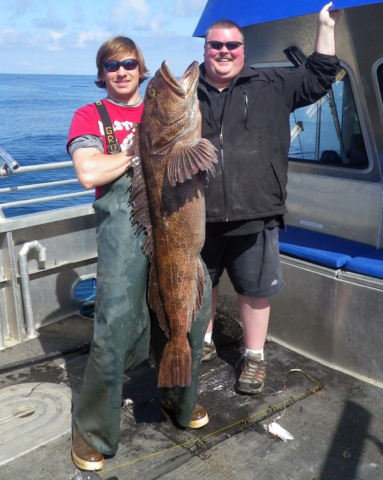 Each port has access to areas that offer Lingcod, and the more complex the structure, the better off! 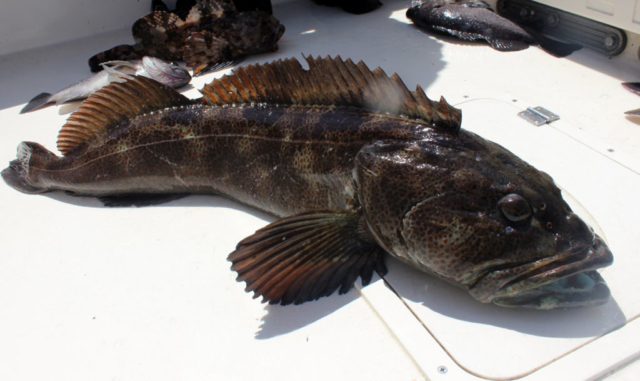 In areas where the coastline is flat and rocky pinnacles and reefs are scarce, even a small patch of hard flat rocky bottom might host a fishable number of Lingcod. I don’t think a person needs any fancy equipment. Matching the strength of the rod to the weight of your lure/sinker is important. Ultra thin and sensitive braided fishing lines have changed the game, and I don’t think I could ever go back to monofilament, unless I was fishing from a rocky shoreline or jetty where abrasion of the line from rubbing on the rocks is a constant issue. Lures are simple, I stick with lead jig heads and soft plastic grubs or swim baits. I love fishing with live bait when I can! This is something you have to try. 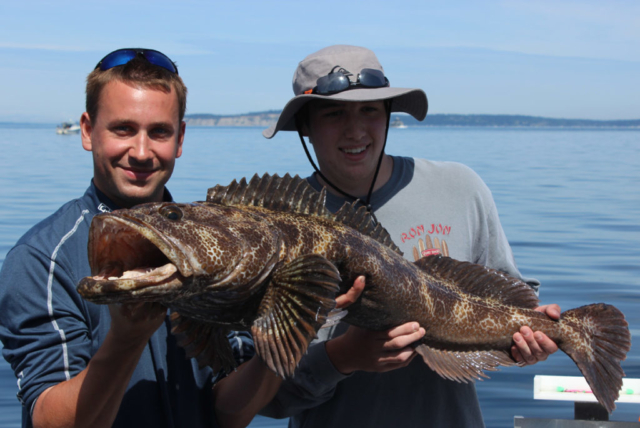 For more information on Lingcod check out the links below. We send out a weekly email with all the latest and greatest fishing information, if you want to stay updated sign up today.